Lawsuits have been piling up against Merck & Co. with regard to the defendants’ medication, Propecia (finasteride). The lawsuits typically claim that the drug is unreasonably dangerous and defective, and that it has caused severe side effects. Now, a Florida resident has filed a new Propecia lawsuit claiming breast cancer caused by the drug. The lawsuit was filed in the U.S. District Court for the Eastern District of New York on September 9, 2014, where it joins other lawsuits in Propecia multidistrict litigation (MDL) No. 2331. The plaintiff has requested that following the coordinated pre-trial proceedings, the lawsuit be transferred to the Southern District of Florida, at which time the plaintiff demands a jury trial. According to the Florida plaintiff’s Propecia breast cancer lawsuit, he suffered from more than one severe medical condition as a result of taking the defendants’ medication. In 2003, when the plaintiff was first prescribed the drug, he was 26 years old. He took Propecia as directed by his physician through 2010. Propecia is a medication that is prescribed for the treatment of male pattern baldness, or alopecia. Its predecessor, Proscar, was prescribed for the treatment of benign prostatic hyperplasia (BPH), or an enlarged prostate. During the time that the plaintiff used Propecia, he allegedly began to notice some side effects. His physician diagnosed him with erectile dysfunction and related sexual dysfunction. The plaintiff also observed changes in his breast tissue. This was eventually diagnosed as gynecomastia, which is the medical term for the enlargement of male breast tissue. Gynecomastia and erectile dysfunction are known to inflict severe psychological damage upon patients. In October of 2012, the plaintiff was diagnosed with a life-threatening medical problem as an alleged result of his use of Propecia. His physician found that he had cancer of the left breast. The following month, the plaintiff underwent a total mastectomy of the left breast. Because of the severity of his suffering and the life-threatening nature of his diagnosis of breast cancer, the plaintiff is demanding compensation from Merck in excess of $75,000. He claims that he has endured significant pain and suffering, a severe reduction in quality of life, emotional distress, and anxiety. In addition to his non-economic losses, the plaintiff claims economic losses of medical bills, rehabilitation, and treatments for depression. According to the plaintiff, Propecia was unreasonably dangerous when it was entered into the stream of commerce by the defendants. The plaintiff further claims that although the defendants had knowledge of the drug’s allegedly defective and dangerous nature, they withheld this knowledge from the plaintiff and his healthcare providers. 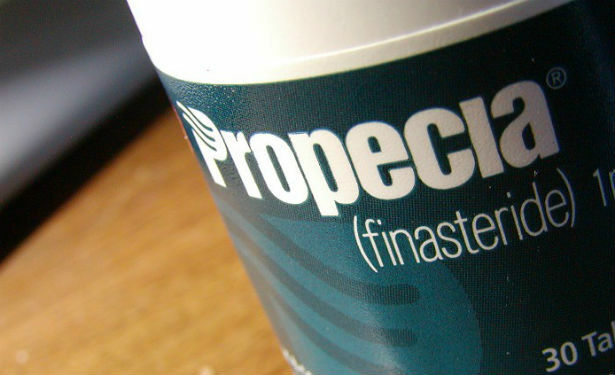 The other allegations listed in the Propecia side effects lawsuit include claims of negligence, breach of implied and express warranties, fraud, and intentional infliction of emotional distress.